The Weddings Library’s Exclusive Metropolitan Club Event– Meet Colin Cowie, and Darcy Miller of Martha Stewart Weddings. Peek behind the gates and get a tour of the famous Metropolitan Club while enjoying sweets from Ron Ben-Israel, frocks from Amsale and Amsale Bridesmaid, jewels by David Yurman, invitations from Mr. Boddingtons Studio and much more at this cocktail party extravaganza. Naughty & Nice New York Fantasy Shower– Hosted by the Morgans New York Hotel and Always a Bridesmaid, this intimate bridal event will include exclusive offers and special treats from Agent Provocateur, etiquette and decor ideas from Always a Bridesmaid, scenic views and bites from the Morgans Hotel, event details and favors by Mélangerie Inc, and floral inspiration and DIY tips from Fleurs. Say I Do– Presented by 5Senses Events Designs, this eco chic event for brides-to-be in the Pittsburgh, PA metro area will be held at the Grey Box Theatre. 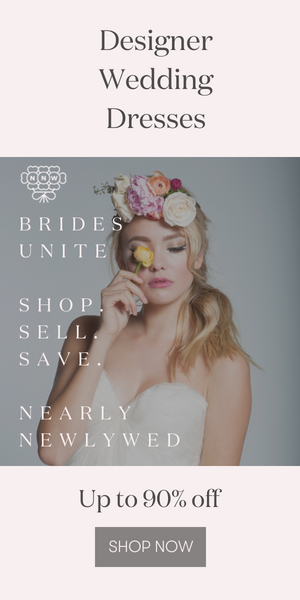 Brides-to-be will have the opportunity to network with eco friendly vendors while enjoying great food, desserts and décor. Admission is $10 and a portion of ticket sales will benefit Dress for Success Pittsburgh. Tickets can be purchased here. Each bride-to-be will have a chance to win fabulous prizes during the Say I Do raffle. Las Vegas Bridal Tour– Green Orchid Events presents brides-to-be the opportunity to learn savvy planning tips from Juliet Douglas while meeting some the best vendors Las Vegas has to offer including Alt F, BBJ Linen, Canyon Ranch SpaClub, Enchanted Florist, Simple Elegance in Cake Design, and Wolfgang Puck Cafe at Springs Preserve. The tour includes a champagne brunch and cake tasting. Tickets can be purchased here. Space is limited, and a portion of ticket sales will benefit Three Square. Glamour in the City and Haute Pink Luncheon– The GlamourGals Foundation’s annual events have some fantastic bridal prize possibilities and will support this non-profit organization’s mission to bring together teen girls with elderly women to foster intergenerational relationships. Raffel prizes include a $15,000 platinum diamond ring, a $2,500 gift certificate to Kleinfeld Bridal, and a weekend stay at Loews Miami Beach Hotel. Register online here.